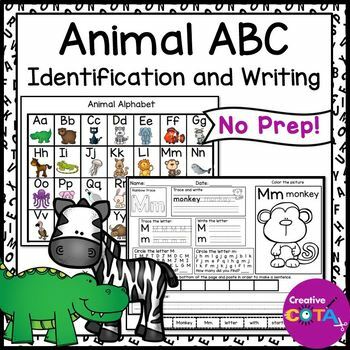 These no prep animal ABC writing worksheets are a great addition to letter sound and writing practice. A letter sound keyword sheet is included. 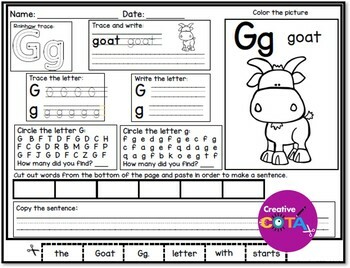 Each of the 26 alphabet sheets include a letter sound picture, letter formation practice, visual perceptual letter identification, visual motor scissor skill cut and paste sentence and a sentence to copy. 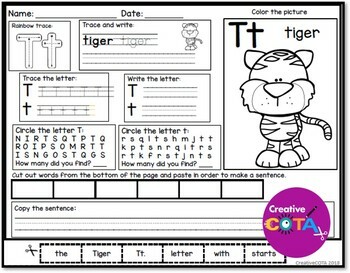 Students trace and write each letter, circle the correct letter, cut and paste a sentence and copy a sentence. It is important to include handwriting in letter recognition. The sensory input of letter formation helps develop a motor memory for letter shapes in the brain. 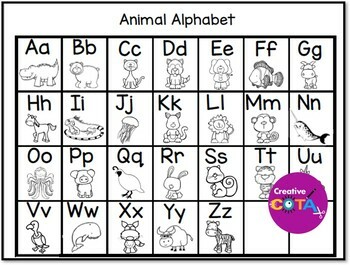 If you like these check out my No Prep ABC Worksheets.